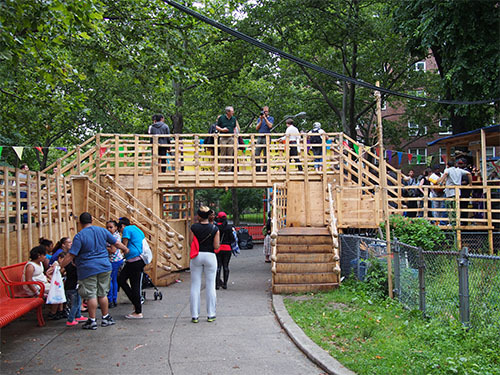 Running into art in the midst of a normal stroll is pretty fantastic and so it was for folks in the Morissania section of the Bronx this summer. 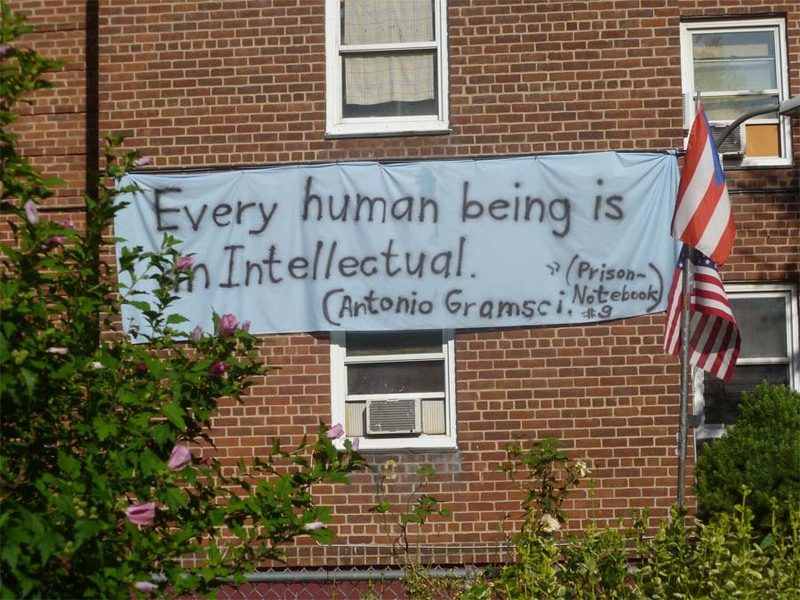 Thomas Hirschhorn’s interactive sculpture “Gramsci Monument” sat on Tinton Avenue between 163rd and 165th Streets. 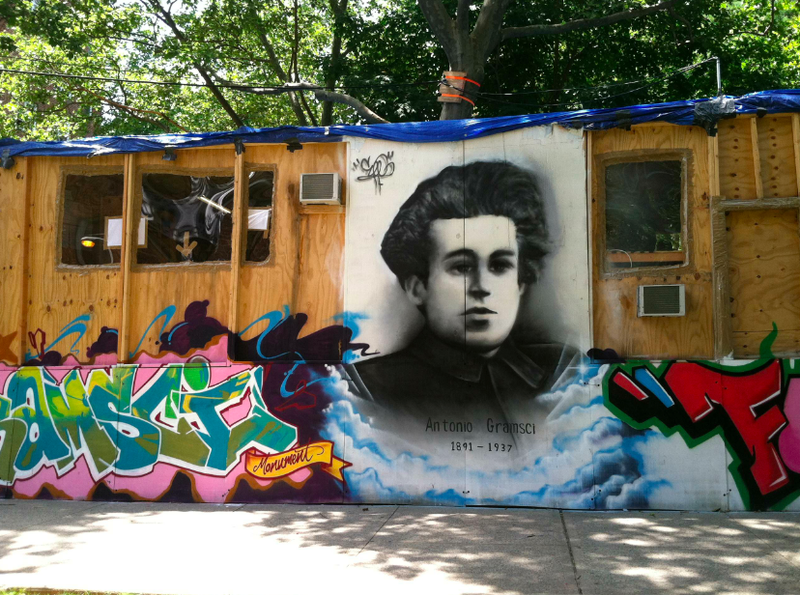 Ironically, “Gramsci Monument,” was commissioned by one of the leading art institutions in the US, Dia, and uses that support to create a community dialogue not just about Gramsci but about how art works every day in a neighborhood. The monument has key programmatic elements that give viewers the opportunity to interact visually with the work and participate as a community member, as well. 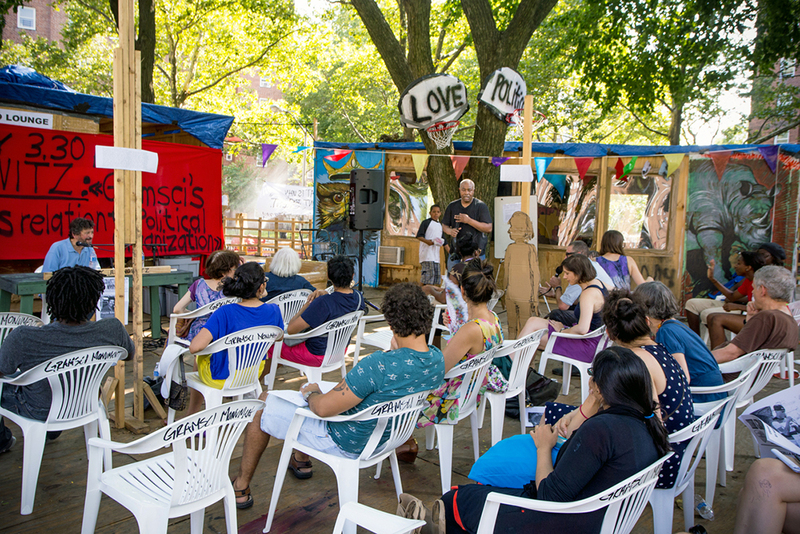 A daily schedule of activities was available to folks who wanted to listen to lectures or just voice an opinion in the open mic format. Although not reviewed well by the NYTimes, I think projects like this are important – conveniently inconvenient, as it were, so people are encouraged to stumble onto something that they would have never done so before. 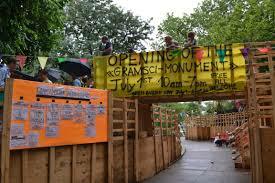 Thomas Hirschhorn is a Swiss artist, currently working in Paris. Winner of the Marcel Duchamp Prize and Joseph Beuys Prize, his work is held in collections at the Tate Museum, Museum of Modern Art, and the Walker Center.